Spend two full days with Luis Nunez learning lots of great ribbon techniques, including a dimensional dragonfly! 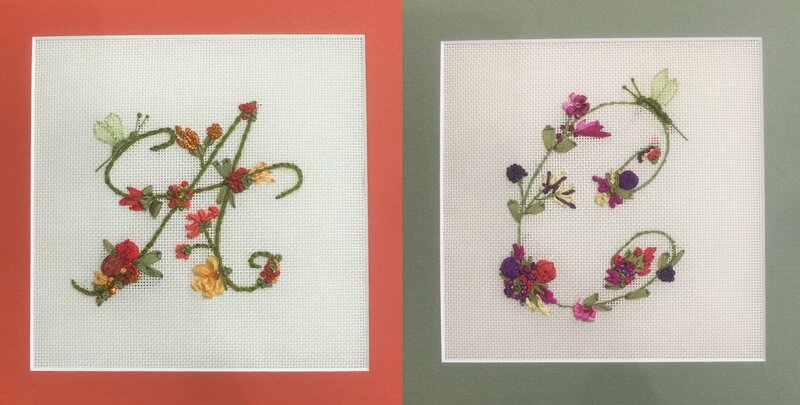 You will stitch your initial or the initial of your choice and will leave with a fully stitched canvas. Requirements: Class fee is due at the time of your reservation. Canvas and thread kit fee of $95 is due one week before the class. Instructor Bio: Luis is half of the Minieri/Nunez team of creative geniuses in the needlepoint world. Luis is also the creative force behind Ka-Tzu (Kazoo) Unique Beads. As a full-time hairdresser, Lou certainly knows about scissors, so making laying tools, eyeglasses minders, scissor fobs, and chatelaines has been a natural evolution when coupled with his sense of color and style. But it doesn't stop there: He also designs needlepoint patterns and stitches (and how could he not, having been around Tony Minieri for so long! ).